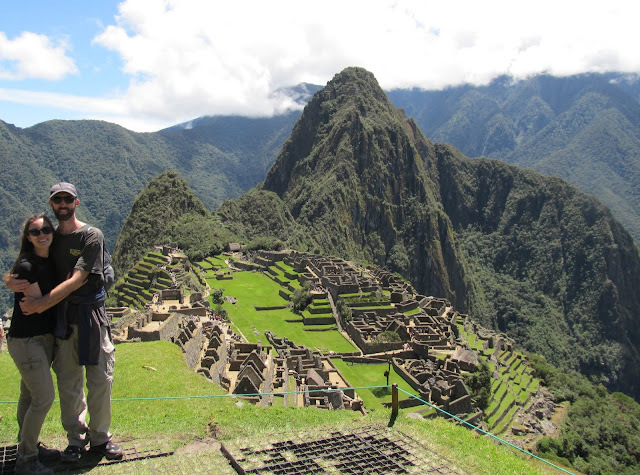 For me Machu Picchu (MP) was the last of the new 7 wonders to visit. 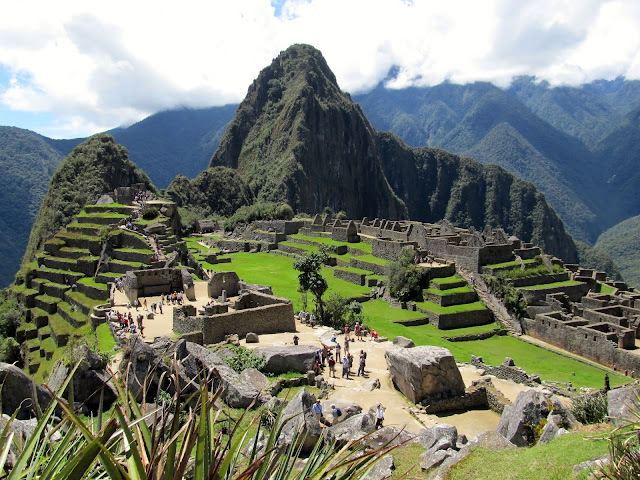 For many it is a mystical and magical place and the purpose and highlight of a visit to South America. Yes, we were looking forward to finally seeing it, but at the same time it is one I have had mixed feelings about for a long time as well. MP has become yet another example of mass tourism becoming a problem in an area, damaging the environment and infrastructure and complicating a routine visit to the area. 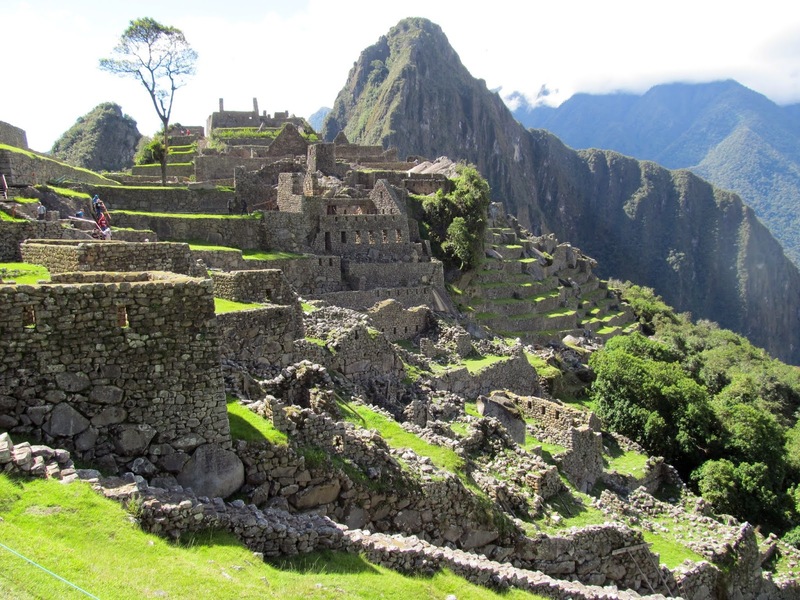 Unesco recommends capping the number of visitors well below its current levels. 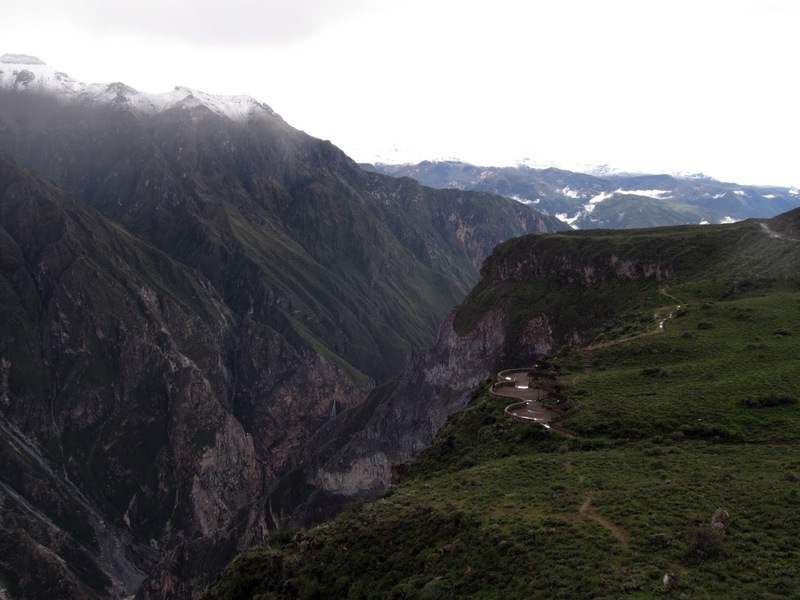 Peru, trying to balance its biggest tourism cash cow with sustainability, has capped the number of MP visitors at 3500 and Inca Trail trekkers at 500 per day. Demand far exceeds these numbers and new rules keep getting introduced to manage things, including new restrictions at the beginning of this year. It has already been necessary to book tickets in advance for a long time but now you have to book a specific starting time (on the hour throughout the day and the visit is only valid for 4 hours from your chosen start time). Fortunately we were not visiting in the busy season and didn't have to worry about booking tickets weeks in advance. 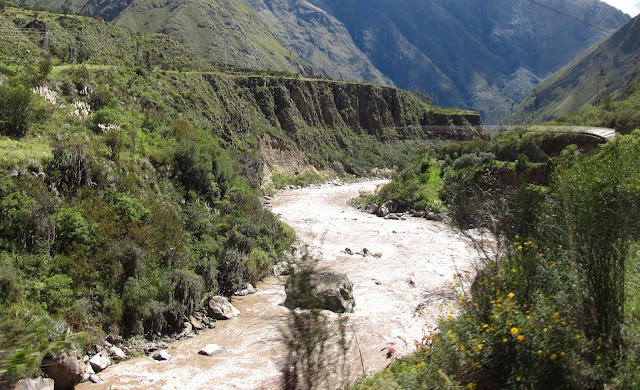 We'd decided long ago that trekking was not going to be worth it for us and the only thing we really had to do was coordinate entry times with train tickets. Other than trekking there is only a train to MP. 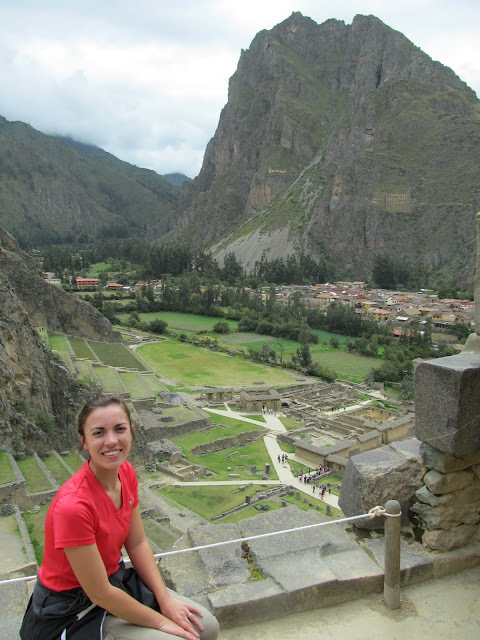 At the base of the ruins there is a small town known as Aguas Calientes or Machu Picchu Pueblo. 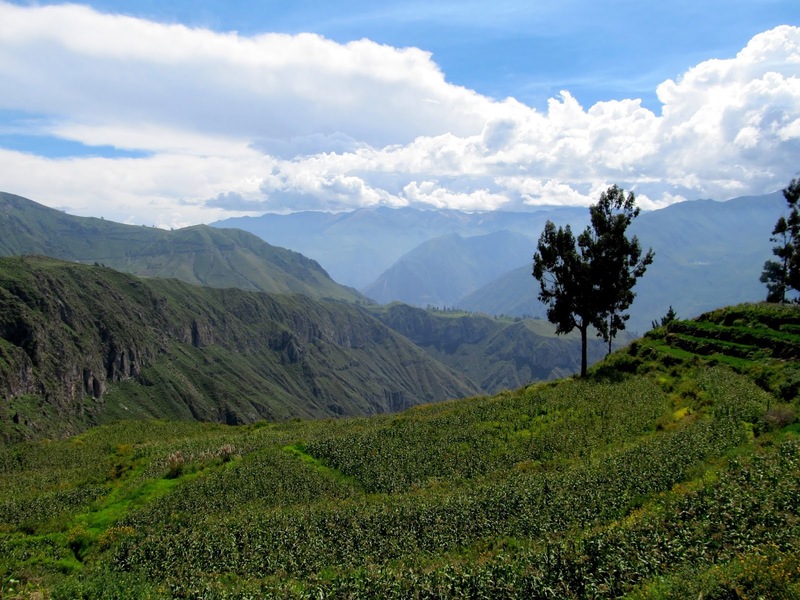 It is expensive and extremely touristy but has a beautiful location in a valley surrounded by jungle and mountains. 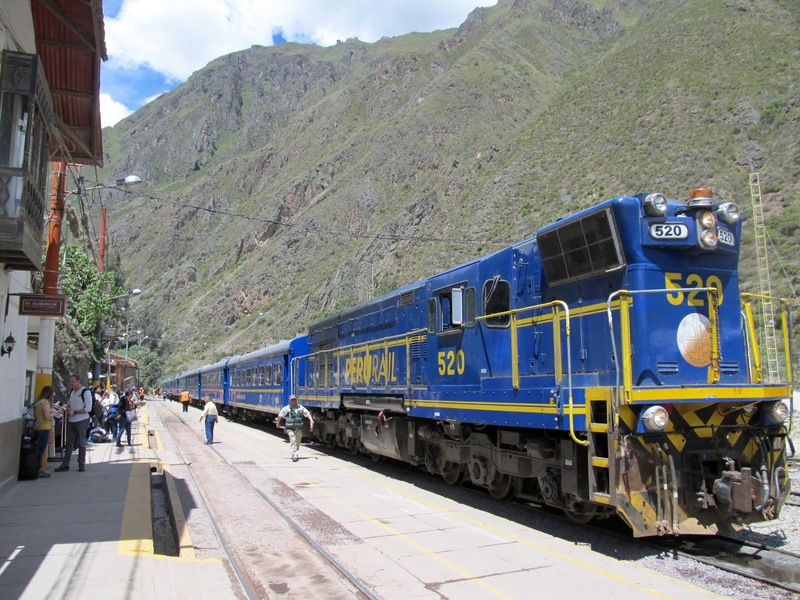 The only way there is by train or trek so naturally it is overpriced by Peruvian standards. From Aguas Calientes there is a road up the mountain and you can either hike for a couple hours to get to the ruins or again pay way too much for a short bus ride up. 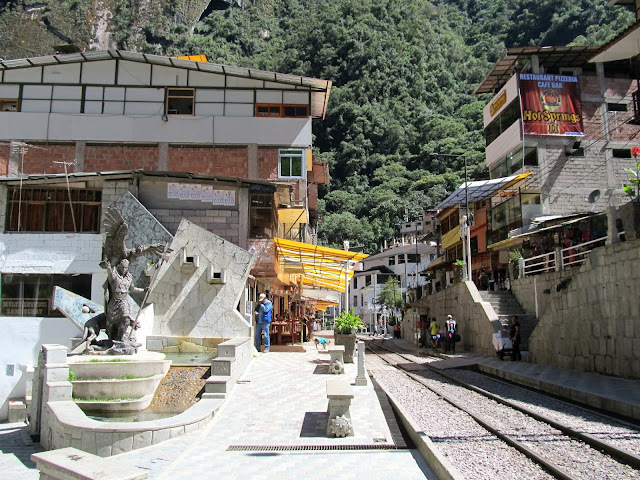 It is possible to visit the ruins as a day trip from Cusco or Ollantaytambo but we opted to stay in Aguas Calientes where the slight increase in hotel and food costs more than made up for the inflated train ticket prices required to do a day trip. Either way, the minimum cost for a trip to Machu Picchu is going to run at $250 US/person. What this all means is that I was actually kind of grumpy and eye-rolly and totally mentally prepared to not like MP. I was expecting wall to wall tourists and touts. Instead, we woke up to a beautiful sunny day, the site had well below its max number of tourists and the place is big enough that it spread out pretty well and didn't feel too crowded. As mentioned in my last post, the Incas knew how to stun with location. 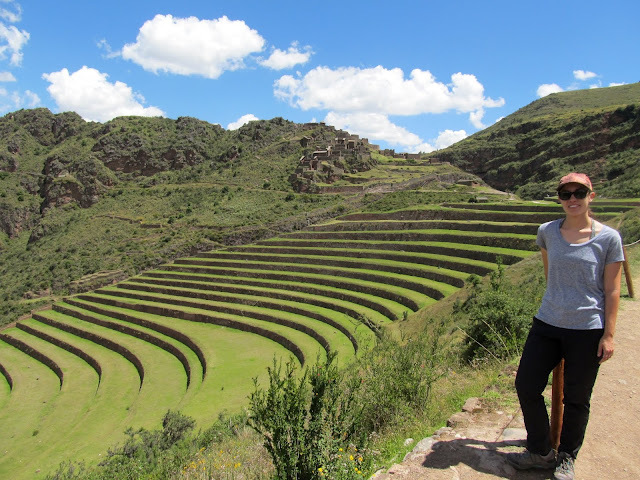 Immediately upon entering the site, you get the classic views of the ruins below you and with many terraces on the mountain above the city you could easily spread out and get your photos. I've seen the photos. It wasn't a surprise but it still blew me away. Once inside there was no hassle and the site is done as a large circular circuit so you can't backtrack and honestly the initial views are the best part and more interesting than the ruins themselves. We'd opted to forego the guide so we could move at our own pace but without any info on display I can only tell you that the place was magnificent and I still know virtually nothing about it. 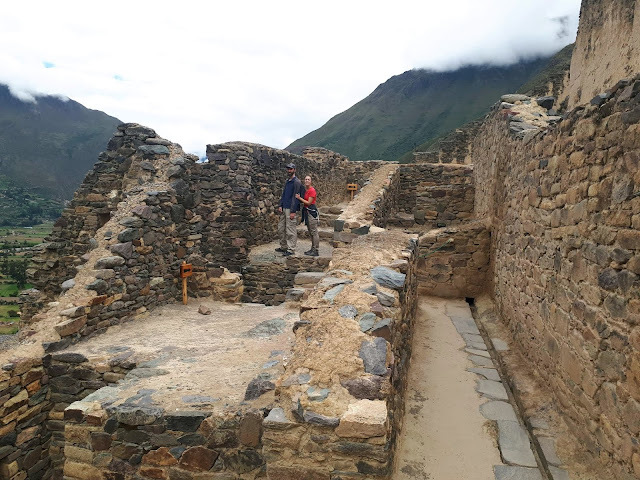 There were temples and living quarters and the Spanish never made it up here so it wasn't destroyed by them but rather abandoned as the rest of the Incan empire collapsed and then largely forgotten until about 100 years ago when it was "rediscovered" by western explorers. 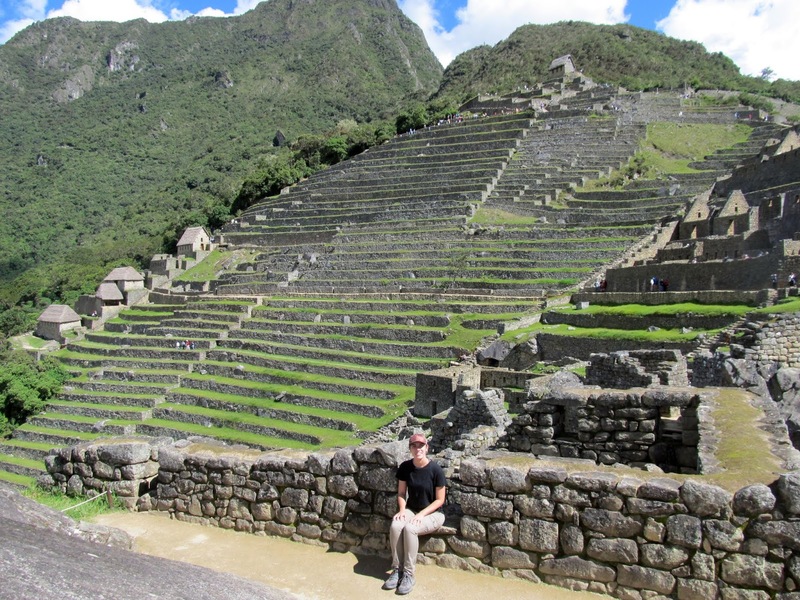 Now it is arguably the most famous exotic ruins in the world. I'd always been a fan of Angkor Wat and thought nothing could top my 2003 visit there but Machu Picchu 15 years ago might have come close. In any case, I enjoyed MP more than I thought I would but I'm looking forward to trying to find more remote and less visited ruins as we continue through Peru. 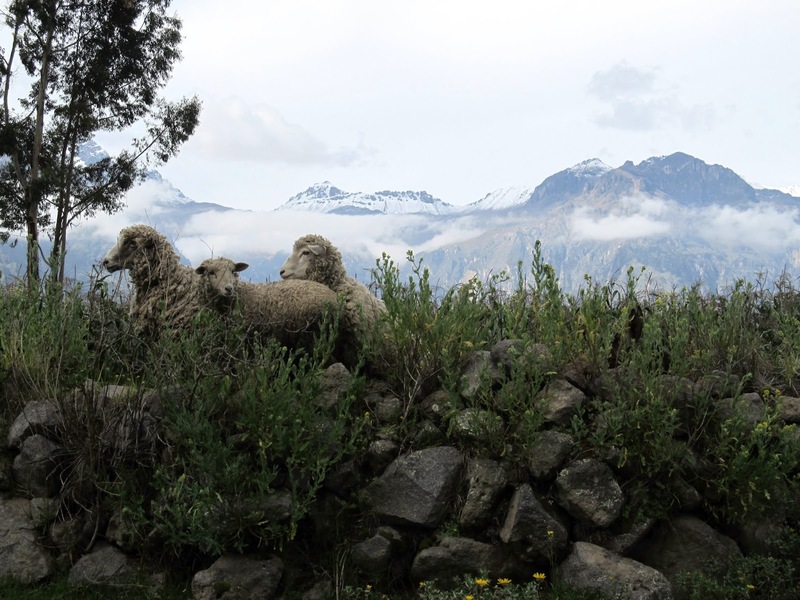 From the Colca Canyon we backtracked to Arequipa and then took a long bus to Cusco where we stayed a night. 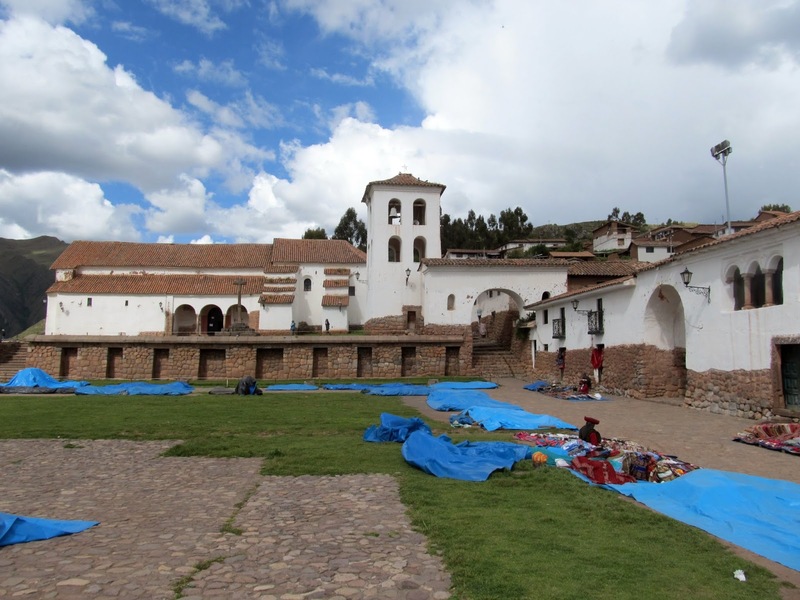 It was our worst hostel/hotel of the entire trip and based on the reviews of many of the cheaper places to stay in Cusco, not an unusual experience. 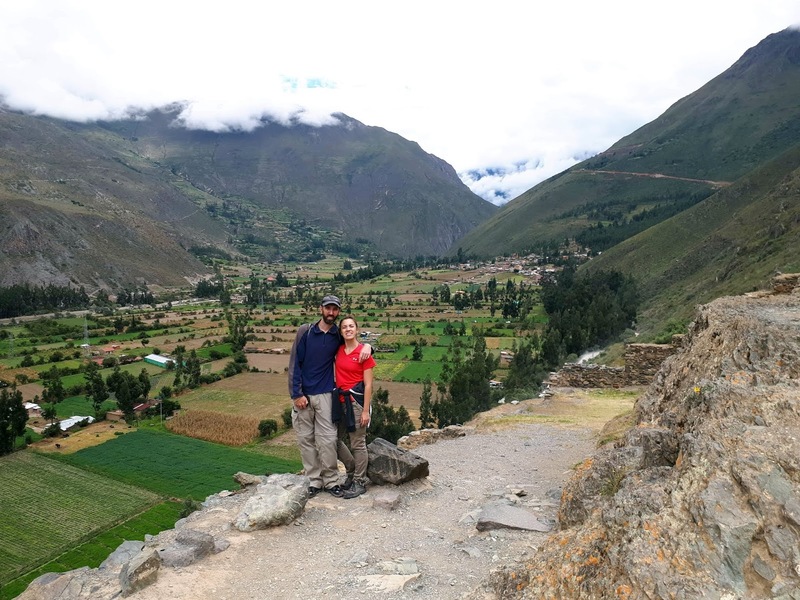 Fortunately for us, it was literally just for the night and the next morning we relocated to Ollantaytambo, a small but very popular tourist village in the Sacred Valley. 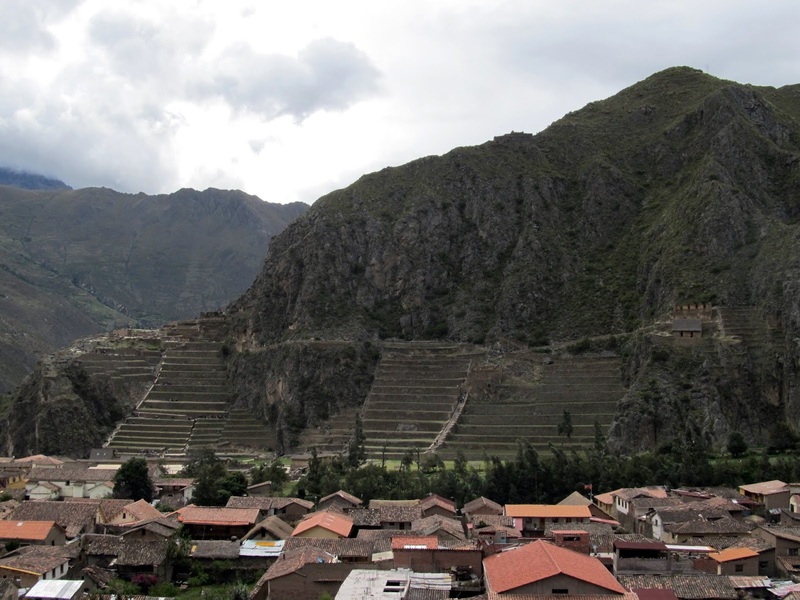 This is prime Incan territory and Ollantaytambo claims to be the last living Incan village, having never been conquered by the Spanish. While Ollantaytambo fortress was the site of a battle that went in favour of the Incas, there are no doubt many places that the Spanish didn't officially conquer and both Peru and Bolivia have huge indigenous populations still carrying Incan blood. Nevertheless, Ollantaytambo, like the whole valley area, is full of ruins and sites to visit, headlined by the aforementioned fortress. 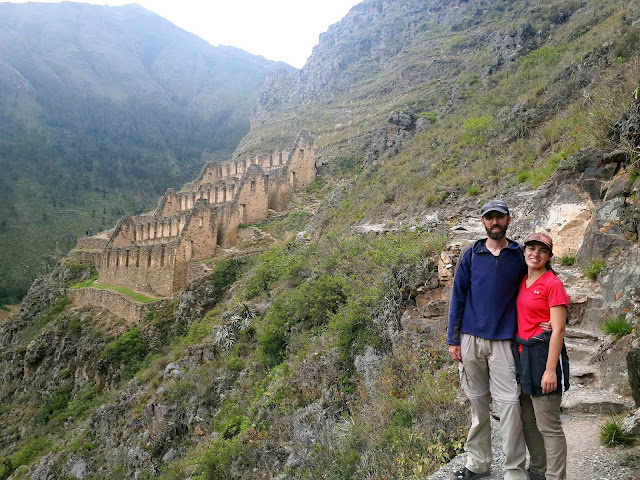 Being smaller, lower in altitude and with cheaper train links to Machu Picchu, Ollantaytambo is a popular first stop in the area and it made sense for us to base ourselves there for a few days to ease the acclimatization process for Dylan (Bre is invincible anyway). 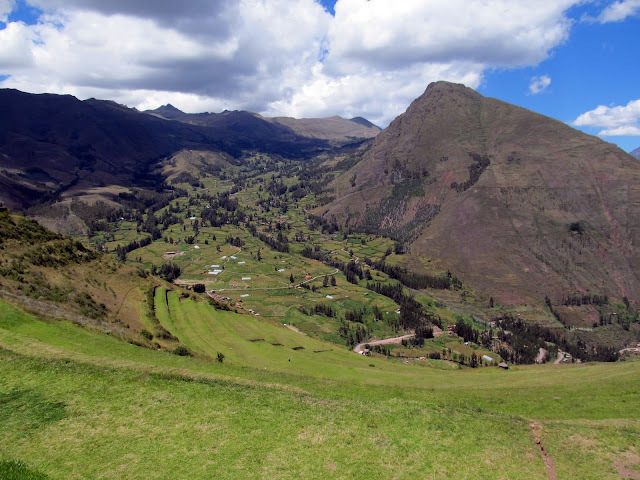 The fortress climbs up one side of the valley directly behind the village and provides spectacular views. 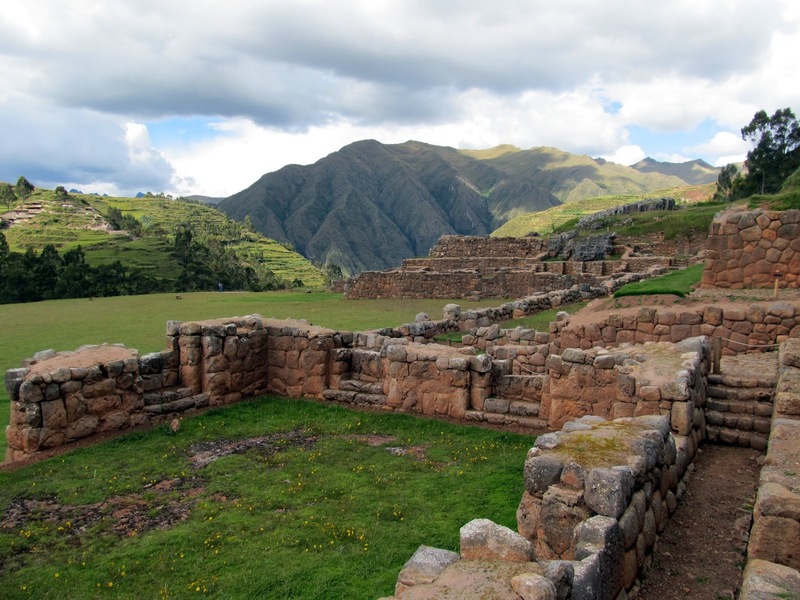 As our first major Incan ruins we were to learn a few things that would reoccur throughout the rest of our ruin visits. 1. 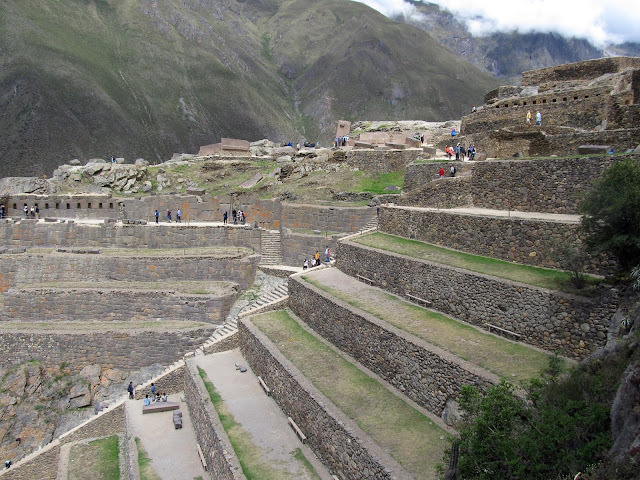 The Incas were really, really good at terracing and shaping and stacking stones that fit incredibly well together. 2. 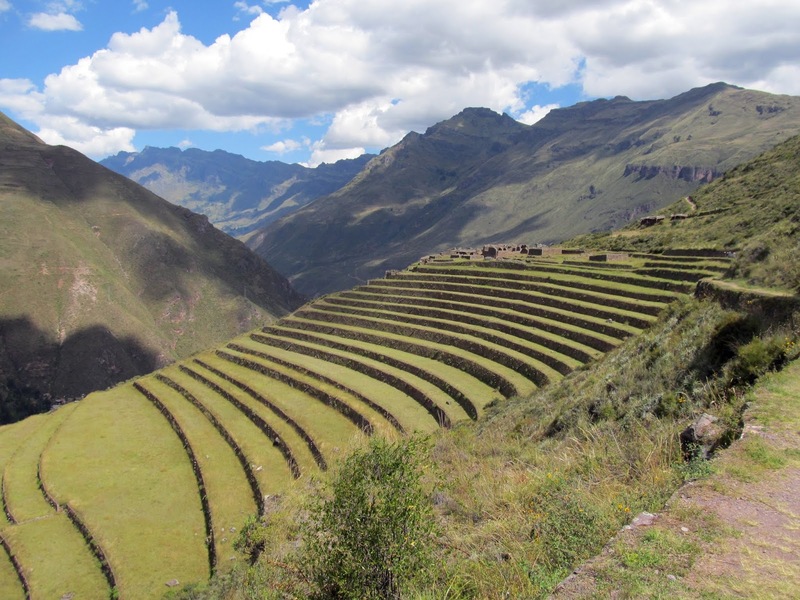 The Incas didn't decorate much. There are no carvings or paintings on walls to see. 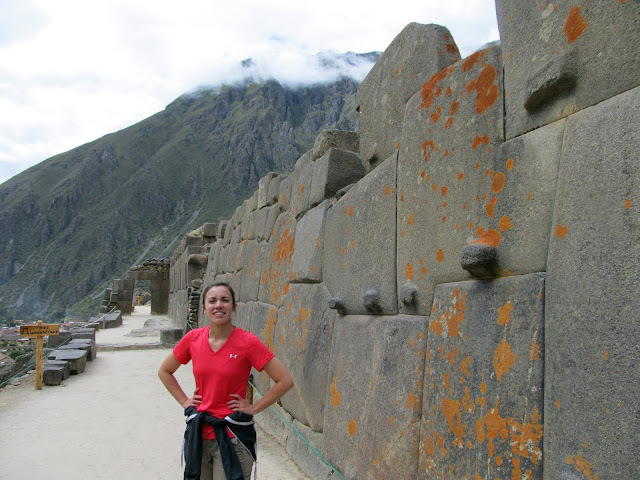 While somewhere like Angkor Wat is completely covered in beautiful bas-reliefs, Incan ruins are nothing but solid stone. 3. The Incas really had great taste in location. Wow! The views are generally more impressive than the actual ruins. 4. Peru is allergic to info signs. No explanations, no signs telling you what is what. If you aren't already an Incan expert or haven't come with a guide, you will learn nothing new. There must be a conspiracy here. In any case, totally unacceptable and very frustrating. 5. The tourists come in waves. 90+% of visitors are on guided tours running to a very similar schedule. Figured it out and we were able to not be overly swamped anywhere. It helps that April is the beginning of the dry season and still not the tourist busy season so days were generally nice and crowds manageable. 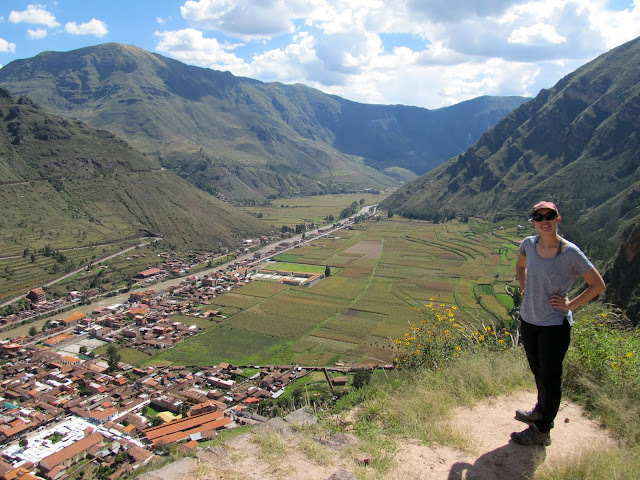 We stayed in Ollantaytambo for 2 nights to take things at a slower pace. The fortress was nice and we also climbed up to the granary ruins on a hill across from the fortress for more great views. There are other things to see a little farther away like the quarry area where the huge fortress stones came from but Dylan got violently ill one night and we needed some downtime. We were also able to eat alpaca (which tastes better than llama), and a local specialty cuy (guinea pig). 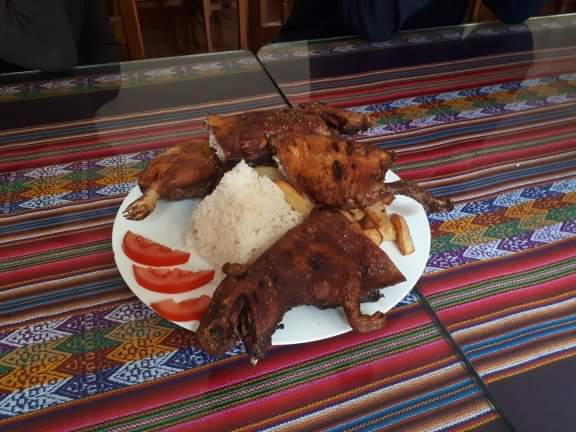 Cuy is quite popular with tourists as a dare to eat because it is generally fried and served whole with head and claws still attached. It was quite chewy and I thought comparisons to chicken were unfounded. The meat is darker and is probably most similar to rabbit. Since it runs at nearly 10 times the price of a normal local meal it is unlikely we will be eating it again. Another nice thing about the area is that most of the ladies are still wearing some form of traditional dress. 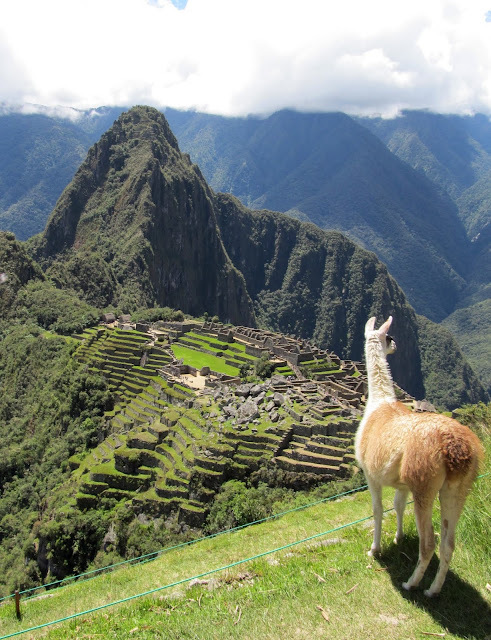 In some cases it is deliberate (along with their accompanying alpacas) as a money-making grab by posing for photos, but that is completely unnecessary as there are so many other people and alpacas running around that authentic photos are still quite easy to come by. Guinea pig for lunch anyone? 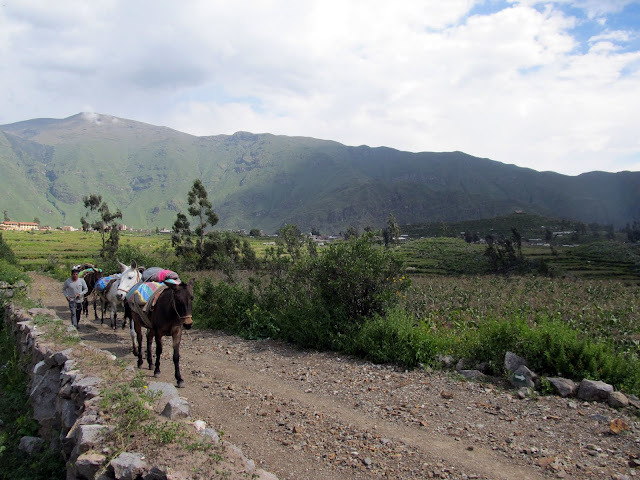 There are a few other smaller sights in the valley between Ollantaytambo and Cusco which many drivers offer along the way during transfers between the two. 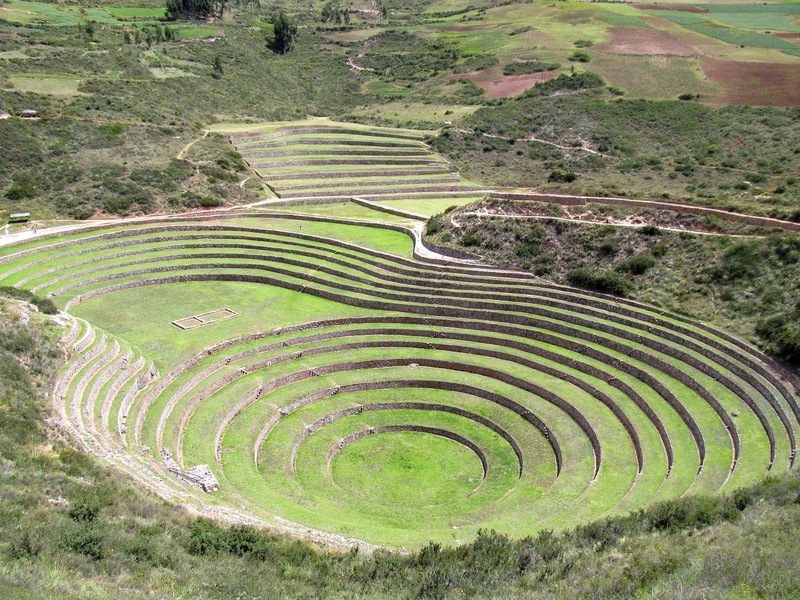 The first of these sites that we visited was at Moray where the Incas set up an experimental agricultural area to test crop growing. The site is set up as a series of terraced circles descending into what must have been a natural depression in the hills. 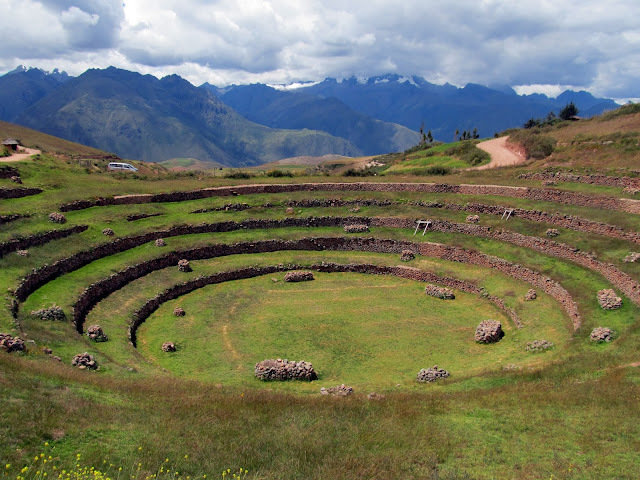 There are 3 of these sets of circles and apparently there is enough of a micro climate between the terraces that they could test various strains of crops to optimize their agricultural techniques and efficiency. If true (so much is not known about most of these ruins) that is impressive. 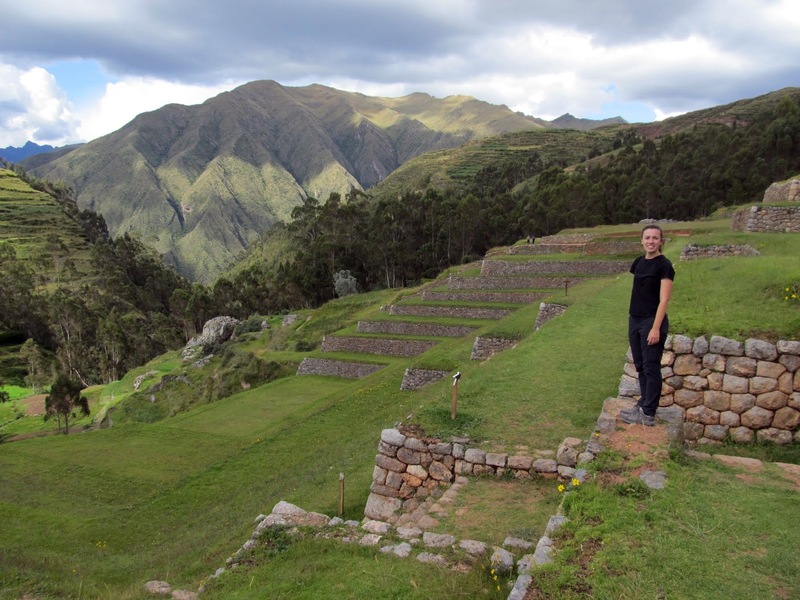 In any case, the ruins have been nicely restored and the rural views nearby are beautiful as well. 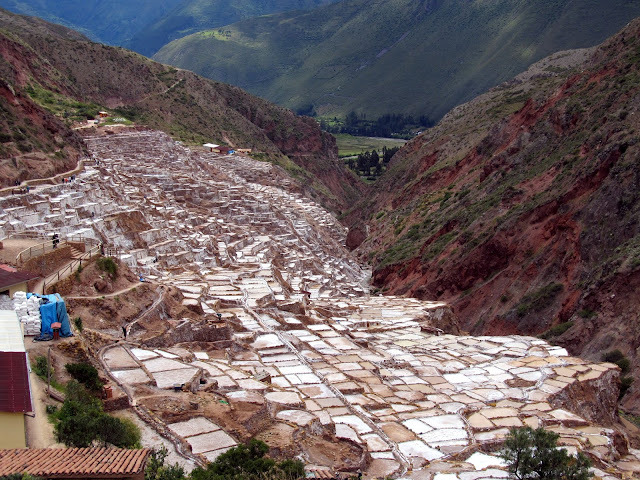 Just a few km from Moray are the Salinas de Maras. 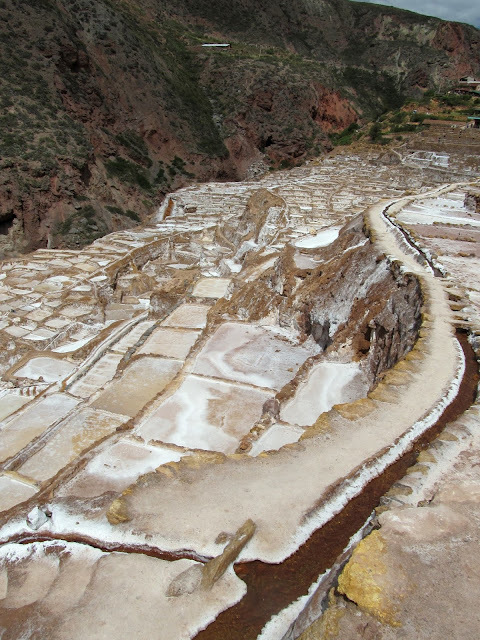 This is a salt "mining" area which is actually a very large collection of evaporative salt pools that have been set up on the side of a gash in the hills where there is a small stream. They divert the water (already with a high mineral content from the local geology), evaporate and collect. The salt collection goes back to Incan times of course, and today is still privately owned and run by the local families in the area with each owning a different number of pools depending on size, need, wealth, whatever. The whole area was larger than I'd expected and while the concept is nothing new, the salt harvesting I've seen in other countries (mostly around the Mediterranean) was a lot flatter and used seawater. Our final stop on the way back to Cusco was a quick one at Chinchero. Chinchero is probably more famous for its textiles market than for its ruins but we were not there on a market day and so it was pretty quiet overall. 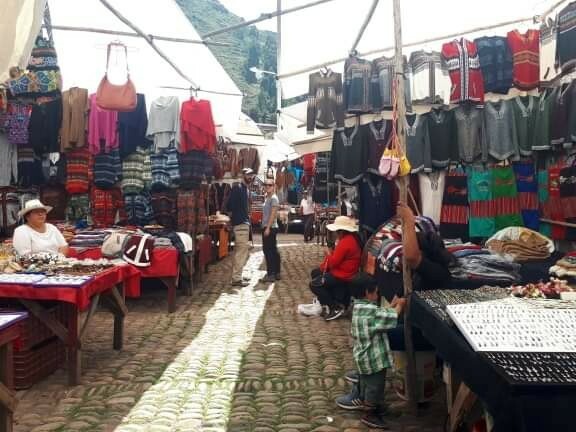 There was still the plethora of souvenir stalls lining the walk to the plaza and ruins selling the same thing as every other stall in every other stop we've made in Cusco and the valley. 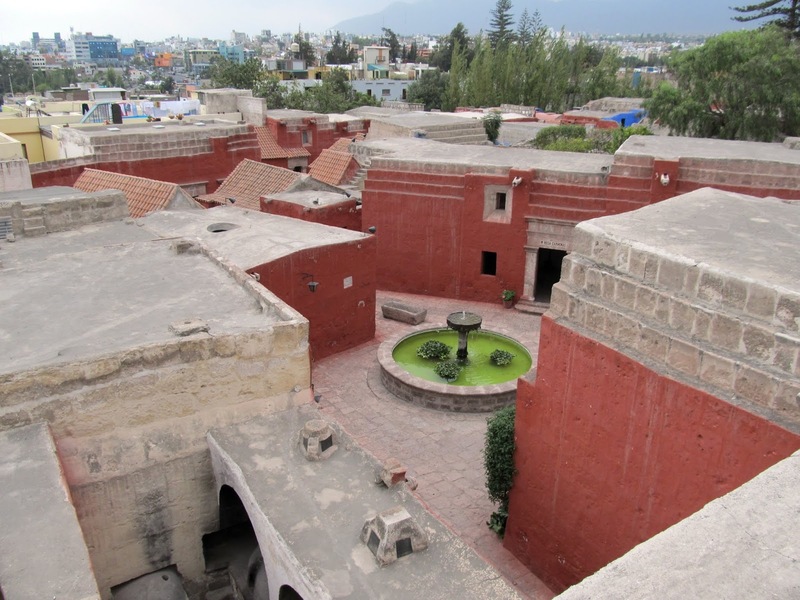 The ruins were just below the central plaza and colonial church and all that remains are more terraced walls. Once again I have no idea what its purpose was. 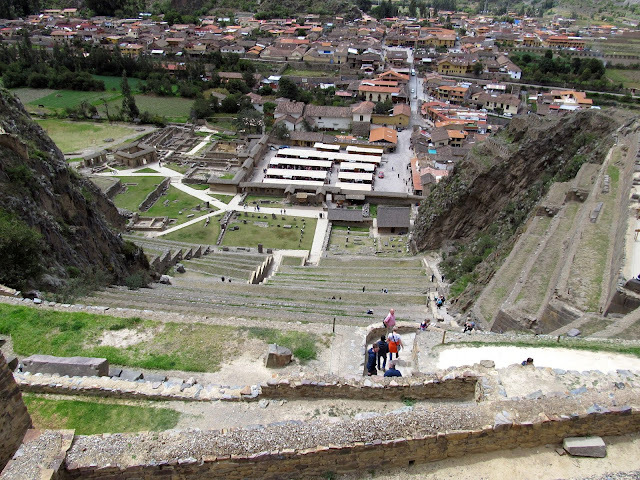 With most of the Sacred Valley less than an hour away from Cusco, many tourists just make day trips out and our final visit to the area was to Pisac a small town about 45 minutes from Cusco and home another popular market and the the 2nd best ruins in the area after Machu Picchu. The ruins sit on top of a hill above the town and the most enjoyable way to visit is to take a taxi up to the ruins and then hike the few km back down to town. 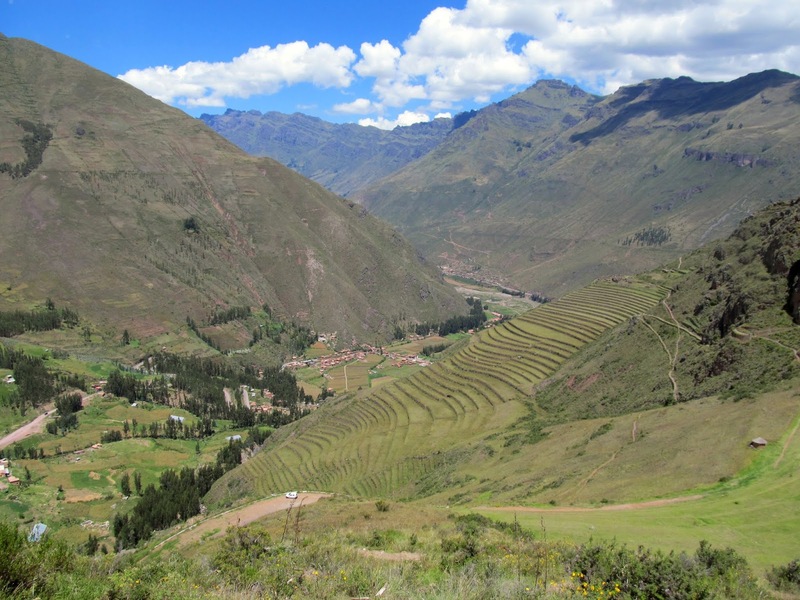 The ruins are of a series of terraces leading down the mountain from a village sitting at the top of a hill. There are a number of other smaller groups of ruined "neighbourhoods" scattered about the area also linked by trails. We had another beautiful day and the views of the valley were stunning as well. 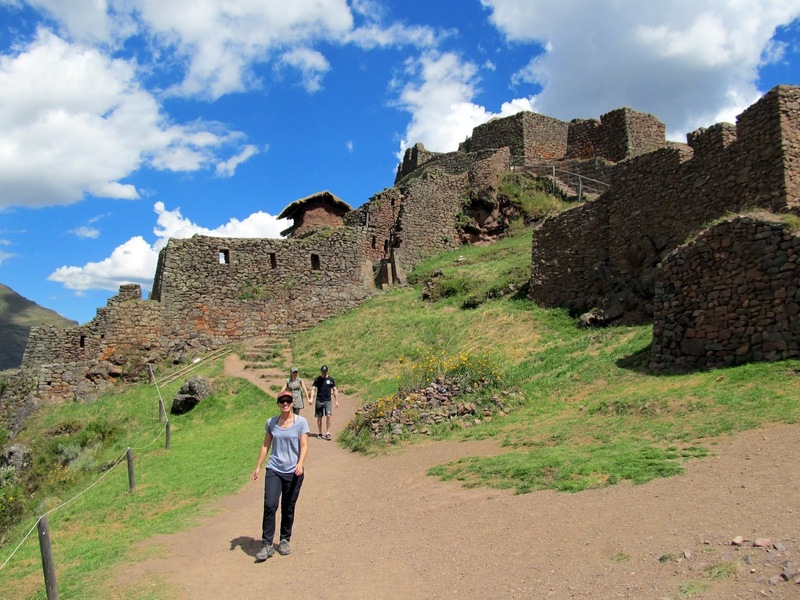 Of all the ruins around Cusco, this was the most important one to not miss. 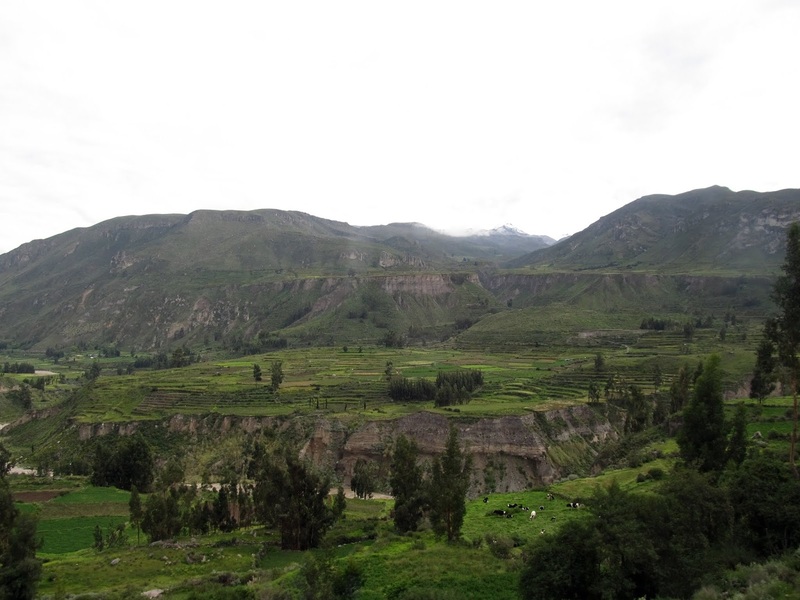 We arrived in Arequipa after a beautiful but delayed bus ride from Puno, too late to do anything but sleep and await the arrival of Bre and Dylan the following day. Arriving straight from Vancouver and with no previous travel experience we tried our best to not shock Dylan too much but it's a very different world down here. 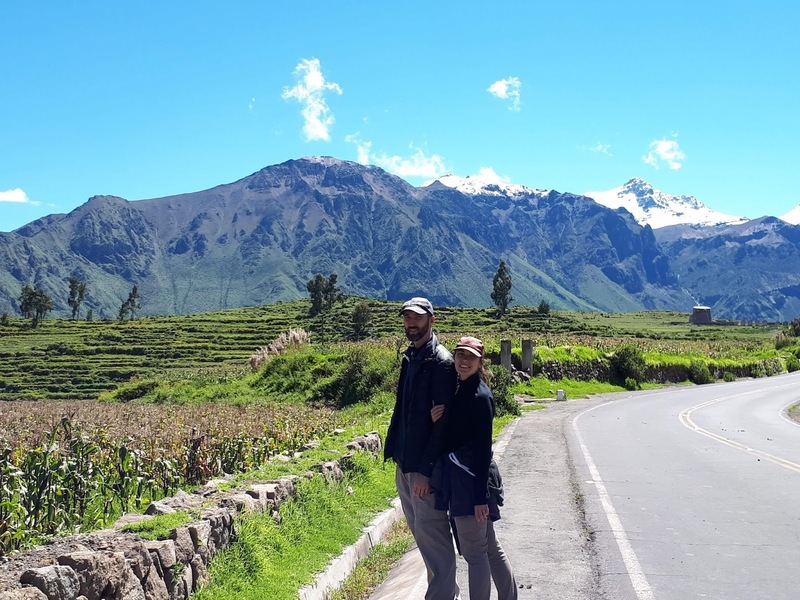 They were planning to join us for just over 3 weeks and together make a 3 week circuit of the southern Peru "gringo route" (arguably the most touristy section of the entire continent). Comfort and western amenities are available but it just isn't the same. In contrast we'd just hit the 6-month mark and were definitely comfortable in our travel groove. The food, traffic and weather all seemed pretty normal at this point. Arequipa is at 2400m, the lowest point we'd been in a month and we were running up and down the stairs while they gasped for breath. Arequipa is the 2nd largest city in Peru and was founded by the Spanish almost 500 years ago. 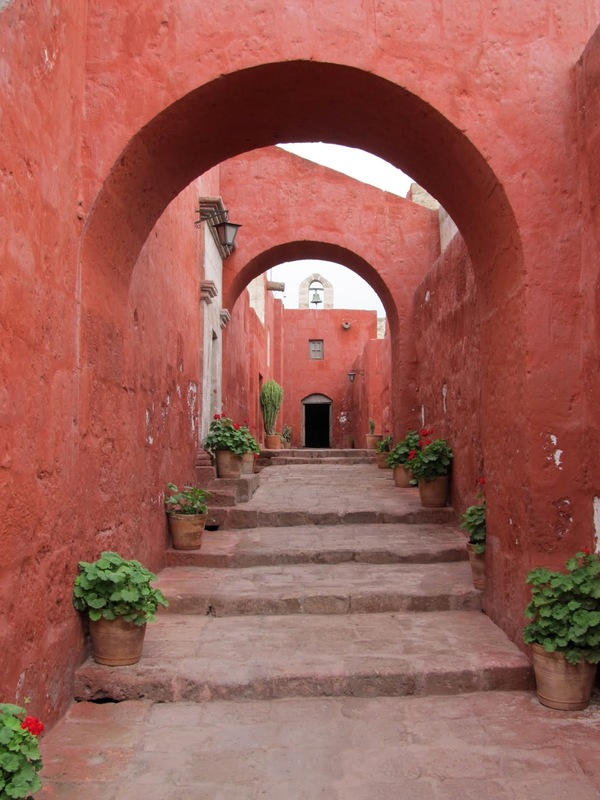 It was an important colonial city in the Spanish empire, inhabited mostly by Spaniards with strong loyalty to the crown. 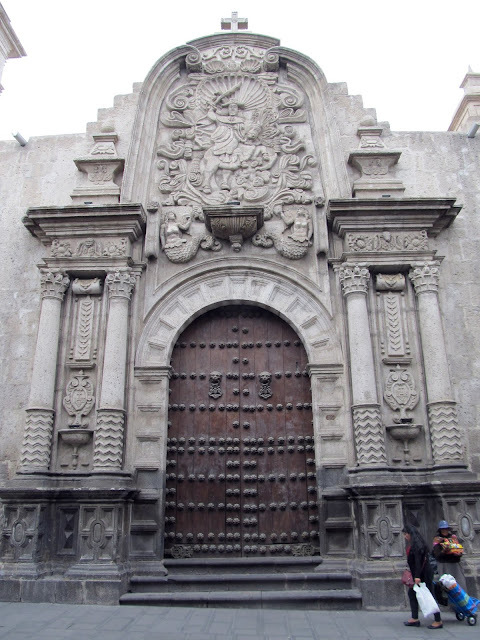 Consequently, it prospered, grew and contains some beautiful colonial architecture. 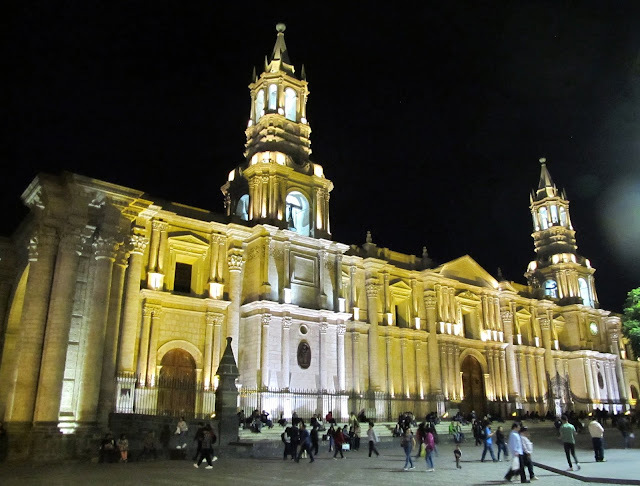 The central Plaza de Armas is easily the most beautiful we've seen in South America to this point with the cathedral occupying one side of the square (as always) and the other 3 sides with beautiful 2-story collonaded buildings that have mostly been transformed into restaurants and travel agencies. 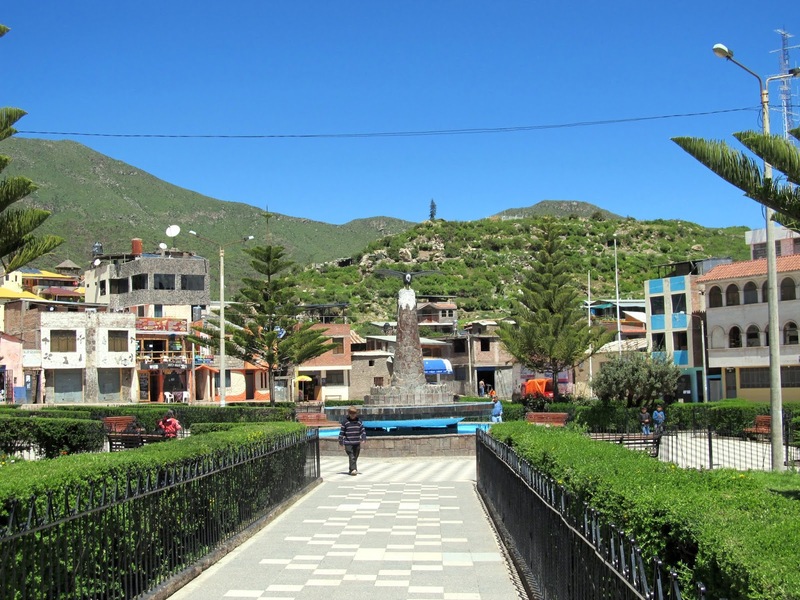 The central part of the plaza is large with the usual fountain, benches and greenery and somehow always still full with tourists and locals alike enjoying the ambiance day and night. Being one of the most popular areas in Peru for visitors there is some hassle but for the most part we found it to be quite enjoyable and relaxing. Wandering the blocks around the plaza we found many other ornate doorways and facades opening into pretty courtyards of former colonial homes, many of which have been converted into hotels or boutique shops. Arequipa has a unique architectural style. Having been destroyed a few times by earthquakes and surrounded by 3 volcanoes, buildings are built a little thicker and feel more solid than other places. They are also mostly built of local volcanic stone which is supposed to be more resistant to future quakes. 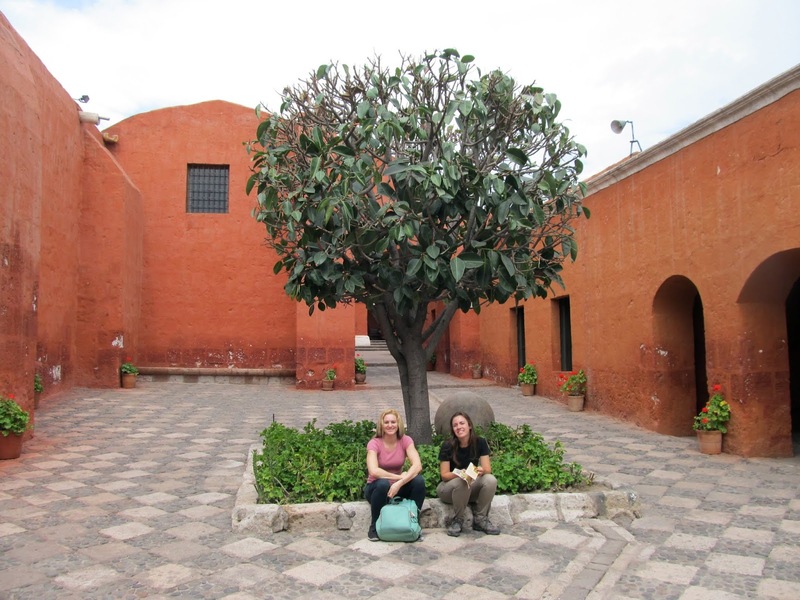 We also enjoyed a multi-hour visit to the Santa Catalina Monastery which is actually still a working convent and one of the first in the country. It remained a place of isolation for the nuns for nearly 400 years before finally opening to the public though there is still a small section still in use by the nuns that is off limits to visitors. The women that entered as nuns were mostly from very wealthy families providing large dowries and as such the monastery (which takes up an entire city block in the centre) comes across as what would have been a very beautiful place with large living quarters and a pleasant community with a comparatively high standard of living. Historically as many as 2/3 of the population were servants. Inside we could wander the grounds which consisted of multiple internal streets, 3 cloisters, orchards, communal washing and cooking areas and many different cells. Most visitors to Arequipa also visit the Colca Canyon. 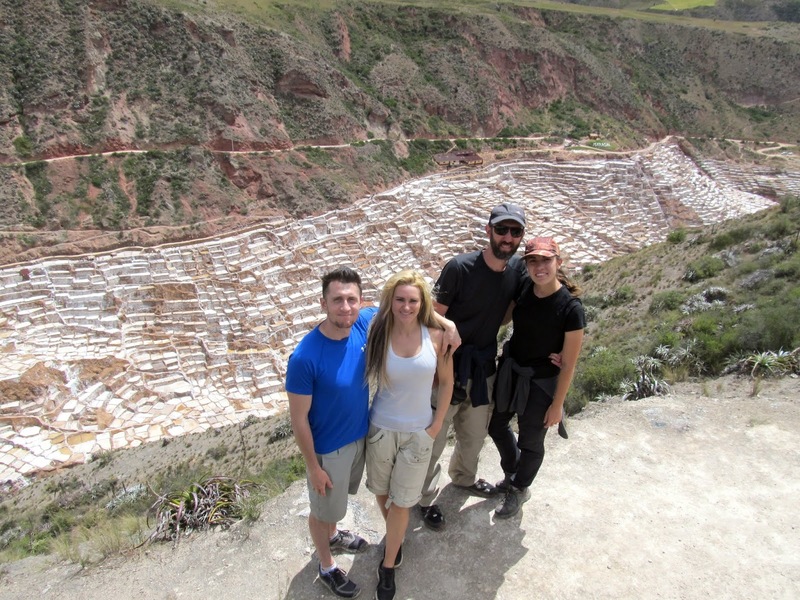 Every tour agency in Arequipa offers the same selection of cultural or hiking focused tours of 1,2 or 3 days. 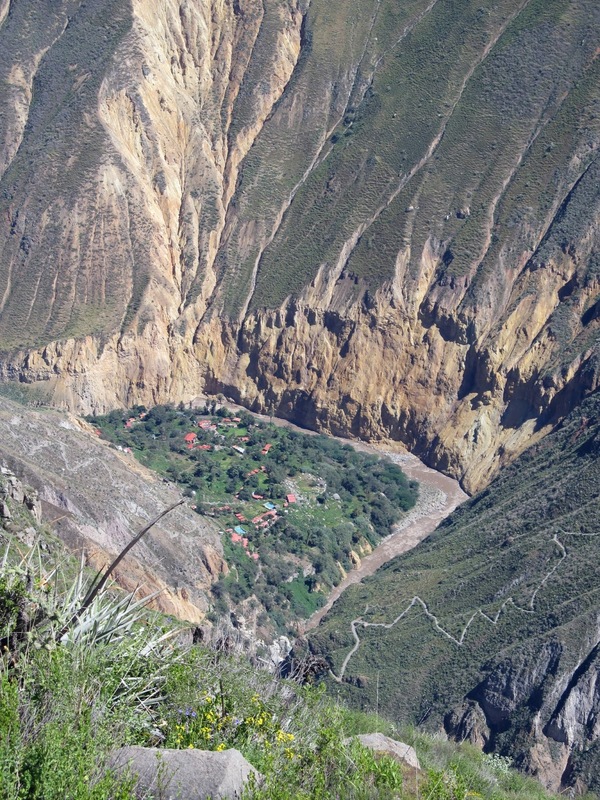 Colca Canyon claims to be the 2nd deepest in the world after the nearby but harder to reach Cotahuasi Canyon. It is most famous for being arguably the easiest place to consistently view the Andean condor and that is the central highlight of any tour to the area. 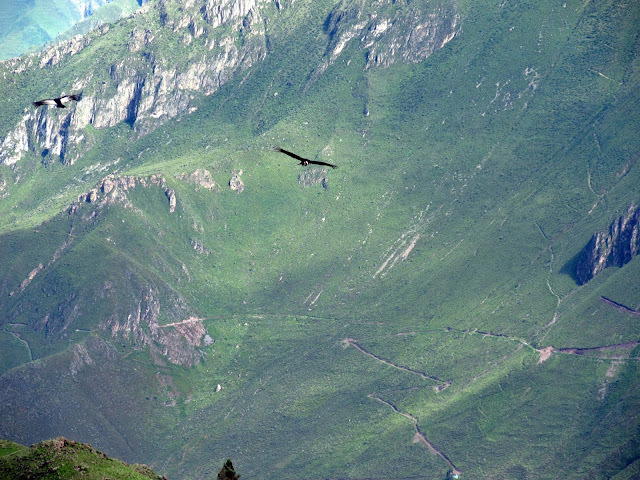 Andean condors are amongst the largest flying birds in the world, long lived and with almost no natural predators. 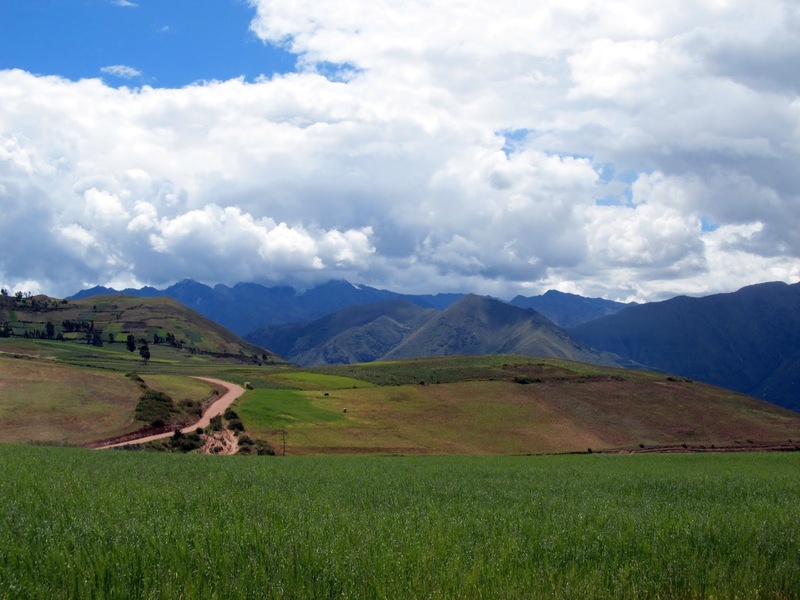 They are found throughout the Andes and a national symbol of every Andean country. Wanting to visit the area, we briefly looked at the tours on offer but remembering our experience in Puno we wisely opted to go on our own. Once again I'm struck by how easy it was to visit the canyon on our own and how lazy backpackers have become. Yes, the tours are cheap and if you have never been anywhere or have limited time then by all means take them, that is what they are for. But what is the excuse for all the rest of these long-term independent "world backpackers"? 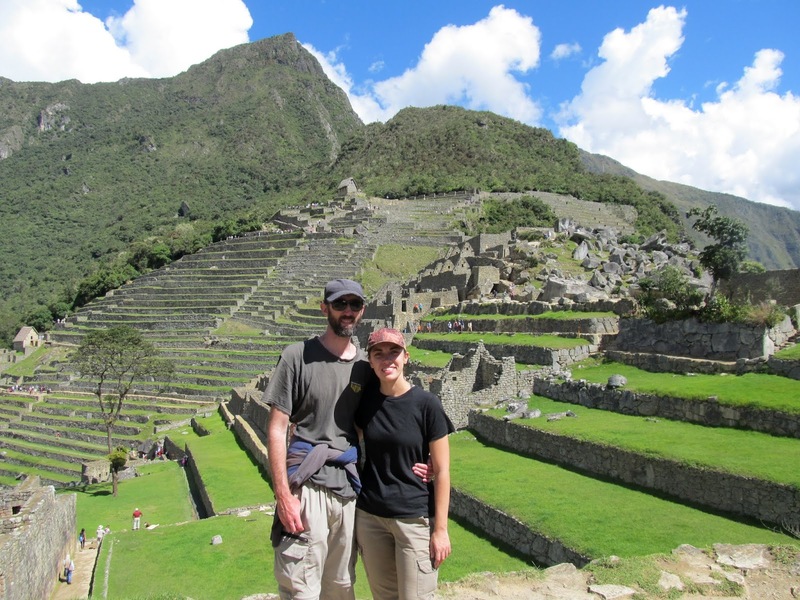 More and more are simply becoming instagraming tour consumers than real adventurers and it is sad to see in a place as easy as Peru has been. 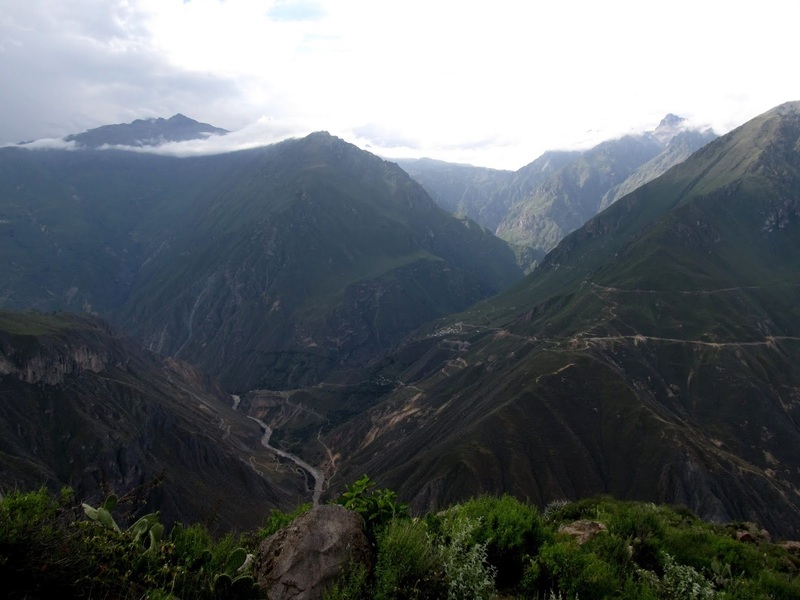 Case in point, we caught a bus from Arequipa to Cabanaconde, a small village on the edge of the canyon. 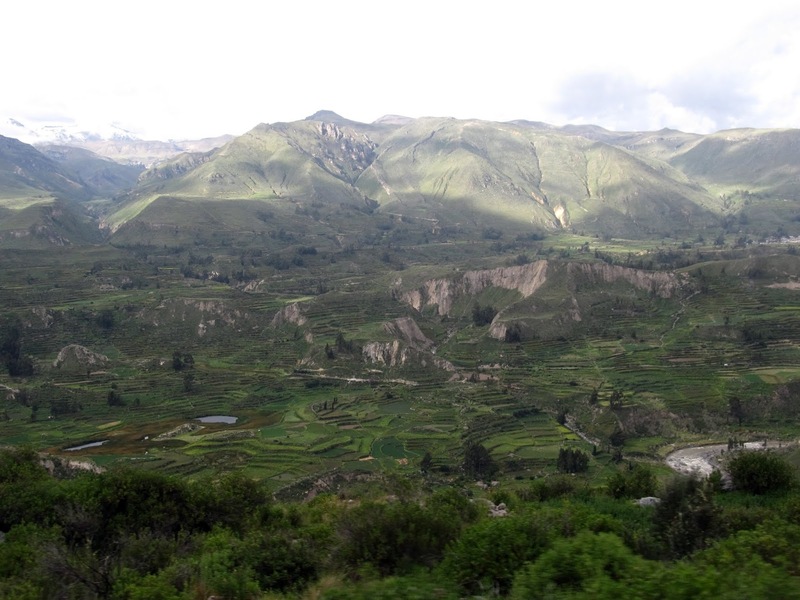 The views were incredible but we arrived in the middle of a rainstorm. There are a few guesthouses and they weren't busy. Any of these places can then give you advice or maps for the hikes into the canyon to other smaller villages. The trails are obvious and it actually looks like a very nice (but strenuous) experience, one we would pass on because of the season (too high a risk of rain) and altitude (at 3200m, too much effort for those still adjusting to the height). The following morning we caught the local bus at 7am for 1/2 hr to get to the main condor viewpoint. 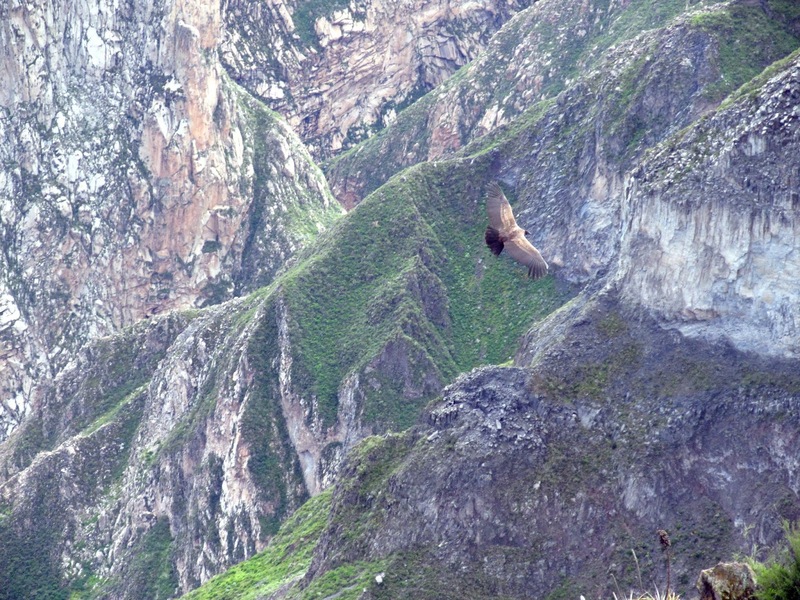 The condors are most active in the area in the early morning and tours from Arequipa will leave at 3am to get there in time for a brief viewing, lasting from 30-60 minutes. We, along with a few others on the bus, arrived well ahead of the tour groups, staked out a good viewpoint and enjoyed the moment in peace. We saw nearly a dozen condors at different times, sometimes active and sometimes we had to be patient for quite a while but we had as long as we wanted to wait. The tour groups came, and came, and came. 35 tour vans and buses eventually pulled up spilling out hundreds of sleepy tourists all jostling for position for their first glimpse of condor. 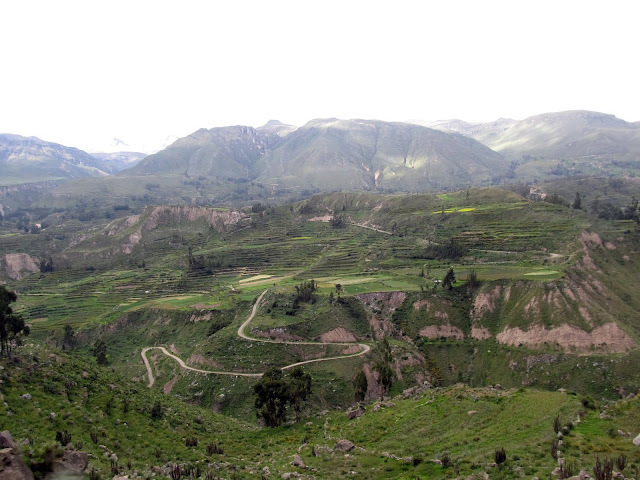 We retreated, catching another bus back to Cabanaconde though the long walk back would have been pretty too. Day trip and culture tours don't reach Cabanaconde but within walking distance of town are at least 3 beautiful viewpoints into the canyon. Defying gravity and reminiscent of Asia, terraces climbed way up the walks of the canyons too. Full of corn and not rice, it was still a beautiful display of colour and human resourcefulness. 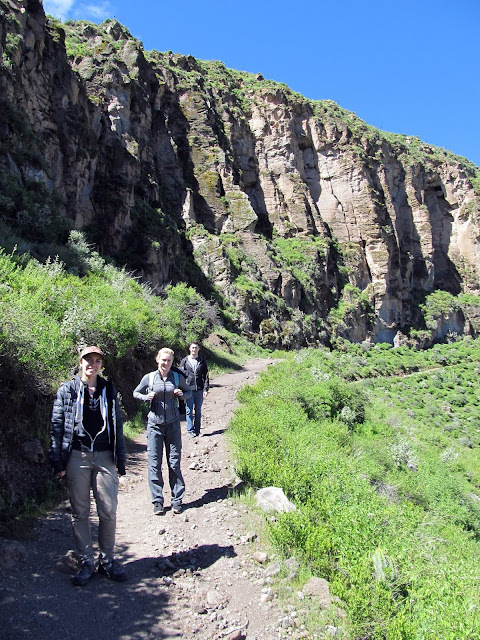 We were enjoying our first viewpoint when the first of many hiking tour groups started heading off down the trail. Where is the peace when you are in a small tour group of 10 stuck in the middle of 6 other small tour groups all walking together? Once they left we saw 4 other tourists like us the rest of the day. We visited the other viewpoints, walking along terraces, jumping flooded streams, watching little girl shepherds and mule drivers bringing teams loaded with supplies along the trails to the next villages. We stayed 2 nights and under different circumstances would have spent more. I can understand how some people claim that the area is over-touristed now and frustrating but I disagree. It all comes down to how and when you visit.